Dryers are totally convenient, so there’s no reason to feel bad for not drying your clothes on the line with a handful of clothes pins. If you happen to have some lying around, you can use them to create some seriously clever organizational projects. 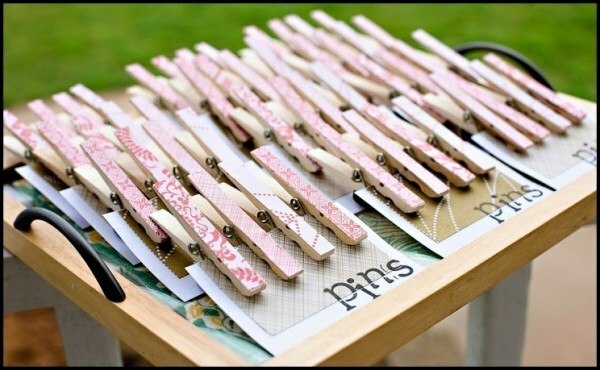 Let’s check out some awesome ways to DIY with clothes pins! 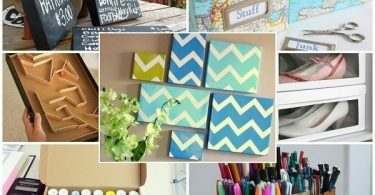 Clothes Pin Magnets – With washi tape and magnets, you can create adorable fridge magnets to hold up anything and everything you might need to hang on the fridge! 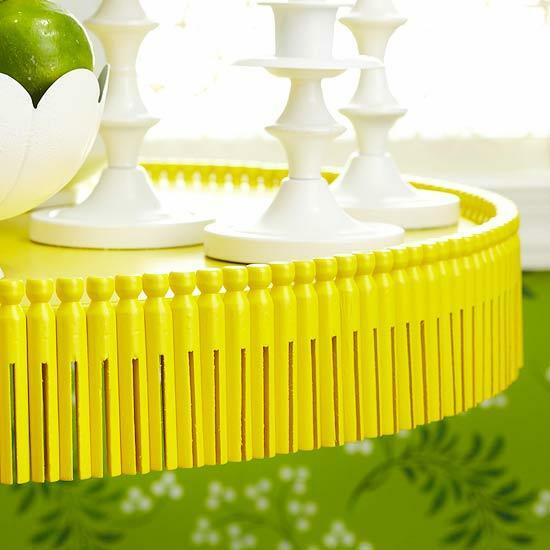 End Table Clothes Pin Detail – Gussy up an old end table by attaching painted clothespins around the edge. It’s sort of like a tassel detail, but solid and oh-so-clever! 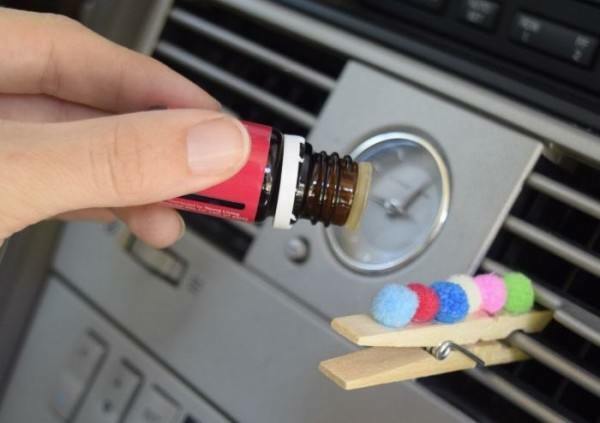 Car Air Freshener – Diffuse essential oils in your car by placing small drops of the oil on puff balls glued to a simple clothes pin. The next time you start your car, you’ll start getting a whiff of essential oils! 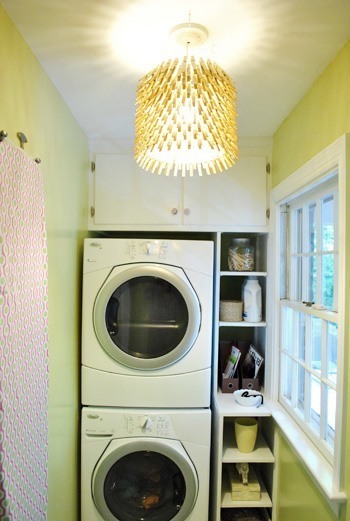 DIY Clothespin Chandelier – What a unique take on a light fixture! The yellow light of the bulb gives the wooden clothes pins a golden glow. 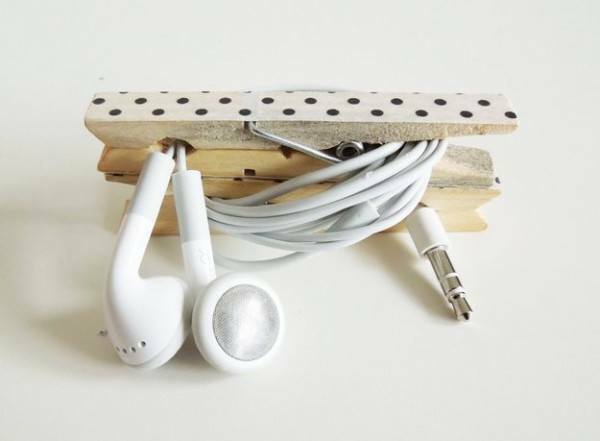 Headphone Tidy – Add a few decorative details to a clothes pin, then wrap up your headphones and they’ll never get tangled again! 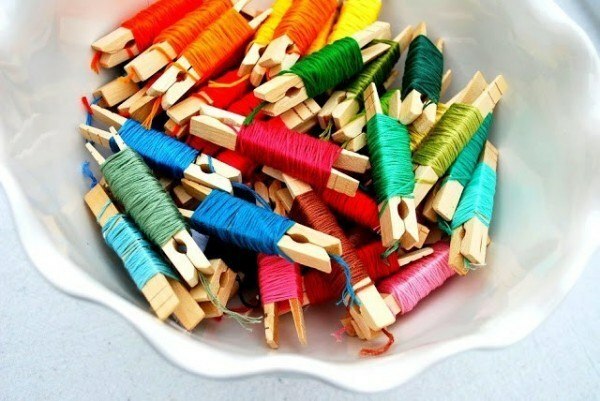 Embroidery Floss Organization – Keep your embroidery floss neatly organized and easy to sort through by wrapping it around clothes pins. 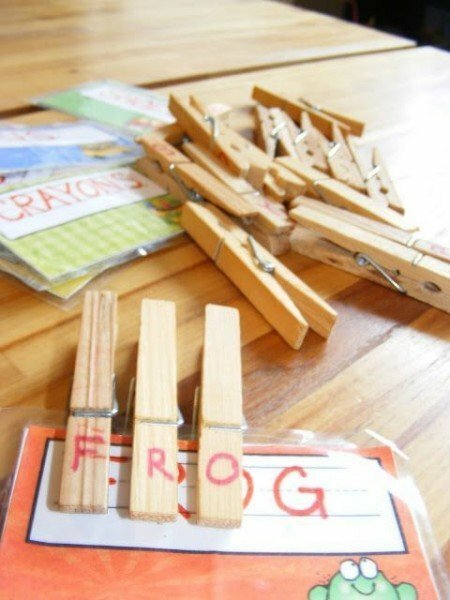 Spelling Game – Add letters to clothes pins, then have your kids assemble words. It’s a great way for them to practice their spelling and vocabulary. 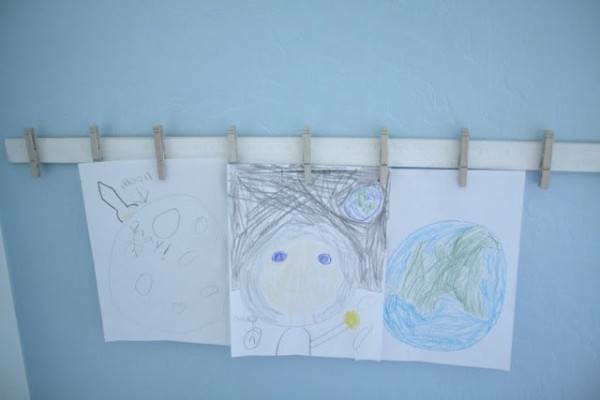 Artwork Display – This cute artwork display was created with a yard stick and spray painted clothes pins. 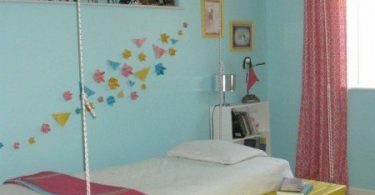 Really simple, and your kids will absolutely love it! 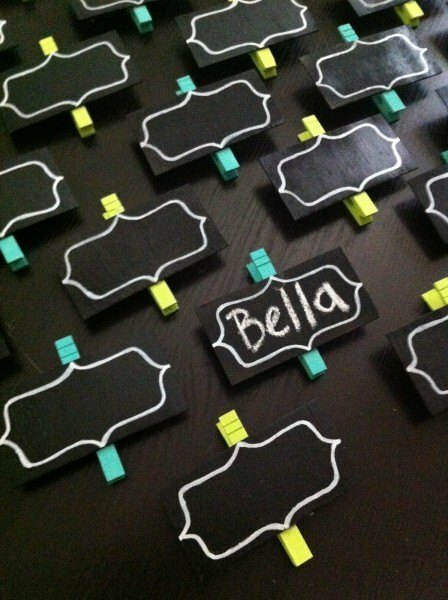 Chalkboard Labels – These adorable labels are perfect for table place cards, marking a drink, or organizing stacks of bills and papers. 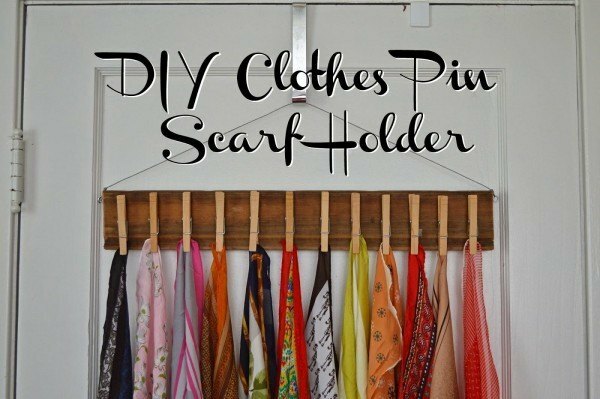 Clothes Pin Scarf Holder – Scarves take up an awful lot of room on a hanger, and it can be hard to sort through to find the on you want. This clever holder will have your scarves displayed neatly anywhere you please.